I came across this photo the other day...From left to right: Sarah's friend Jenny, my sisters Arianna (2) and Sarah (6), and me, Bethany (4)! I love the way we are in awe of Jenny. "Look at the way she eats her ice cream!" It's actually Thursday as I write this. I am in New York with my best friend. The rain is coming down and there is no chance of going to the Big Gay Ice Cream Truck (though no review, interview to follow next week and bonus points for any New Yorker who wants to try it for us!) My only comfort is hanging out with my oldest and dearest friend and doing what we do best -- watching silly sitcoms and eating junk. She's on the phone right now, and while my mind is craving sweets, I figure the best way to maybe calm this craving to to post one of SpiceDish's famous, delicious recipes. This one seems perfect for me to write about today -- while some people find vanilla boring, I find it to be the comforting best friend that brightens up a rainy day. In a thick bottomed saucepan, mix the milk and cream. Split your vanilla beans and scrape the seeds into the milk mixture. Drop the beans in. Bring to a simmer. Remove from heat. Let steep for 1 hour. In a large bowl, beat the egg yolks and sugar until whipped. Remove bean pods from milk mixture. Gradually pour the mixture into the egg yolks, and whisk constantly. Return mixture to the saucepan and cook over medium heat, stirring with a wooden spoon until the mixture thickens and coats the back of the spoon. Pour the mixture through a strainer and back into a large bowl. Cover, and chill completely in the fridge. 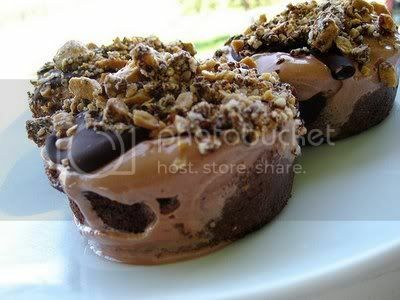 Once chilled through, pour the mixture into an ice cream maker, and freeze according to the manufacturer's instructions. 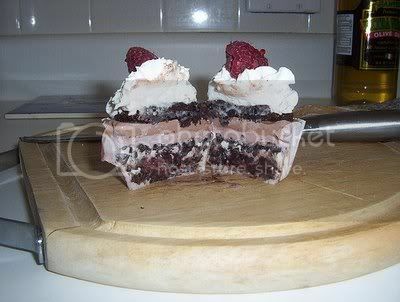 You may need to put the gelato in a container, and ‘ripen’ it in the freezer until it is firm. As Mitch Cohen, holder of the Guiness World Record for scooping the most ice cream in one minute, says..."The most difficult part about eating ice cream is getting it out of the container." He's got that right! Most tips you'll read says to let your ice cream sit for 5-10 minutes before serving for ease of scoop and best flavor but seriously who can wait that long. So it really does come down to what tools you use to get the ice cream out of the tub. Mitch swears by The Original Zeroll Ice Cream Scoop. that's made of aluminum alloy and has a heat-conductive liquid inside that warms up from your hand and just glides through the hardest ice cream ever. 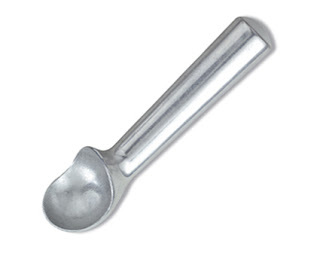 What is really neat about this scoop, besides the liquid inside, is that it also comes in a variety of sizes, from 1-4 oz portions and the end cap is color coded according to its size. So you can have a kiddy cone version for your little ones and one for the adults. It'll drop you about $15-$20 and from the sounds of it is made like a tank so it'll last. One reader on Amazon says, "This ice cream scoop is really amazing. You'll feel like you're at an ice cream parlor, scooping your own nice, perfect scoop from that vat of ice cream." Now what's better than that! Interesting thing is before I even read about what the Zeroll scoop was all about I was going to say my top pick for an ice cream scooper is Pampered Chef's Ice Cream Dipper, which come to find out is essentially the same thing. Has the same heat-conductive liquid in the middle and it seriously is a godsend. I swear by this scoop. It does have one major downfall, as does the Zeroll scoop...you CANNOT PUT IN THE DISHWASHER. I think I need to put a sign up in my kitchen for this because my husband has ruined two scoops in the past 6 months on me and I have a new one on order. Let's see how this one lasts...any bets?! 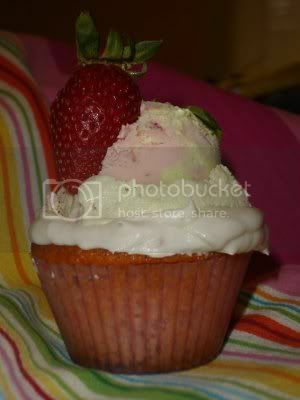 Winners Announced for the Cupcake Project/Scoopalicious Ice Cream Cupcake Roundup 2009! 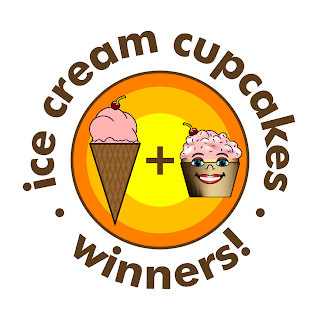 I just want to begin by again thanking everyone for participating in the 2009 Ice Cream Cupcake Roundup - our 35 bakers, 650 voters, and 8 prize donors! We are so excited with all of the participation! If you won a prize, please email stef at cupcakeproject dot com with your mailing address and phone number within the next week. 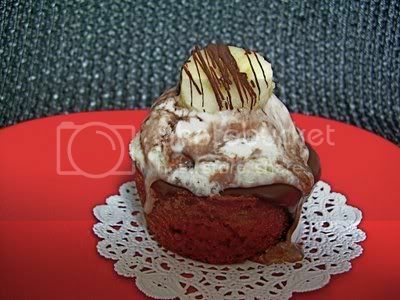 This prize goes to the cupcake that received the most reader votes. 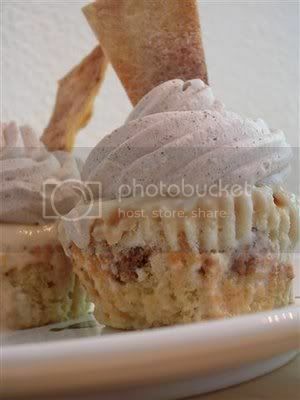 It was a close competition, but the winner was Carrot Cake Ice Cream Cupcakes from Little Big Cakes. 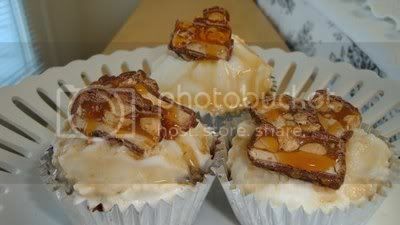 I really like carrot cake and this one looks perfect! 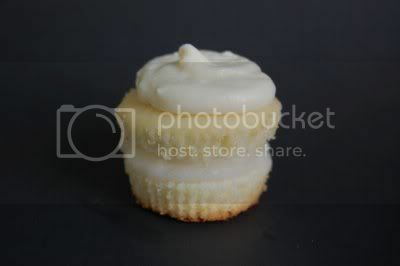 After a lot of scrolling and wiping the drool from my mouth, I was finally able to narrow it down to this one and the Vegan Piña Colada Ice Cream Cupcakes from Cookies and Candids. There were a lot that I loved that were yummy looking as desserts. 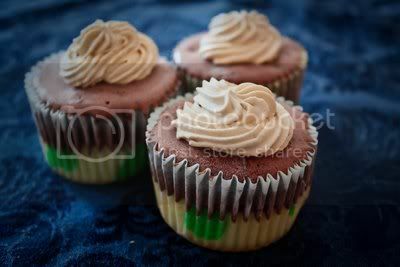 But part of the appeal of cupcakes, for me anyway, is the instant satisfaction. No cutting, no dishes, no utensils, just peel and eat. 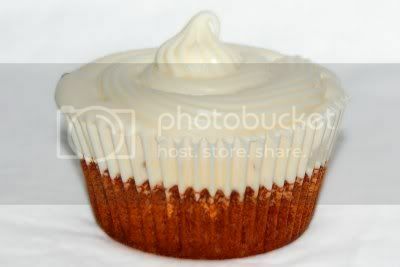 The carrot cake seems like it would have a lot of flavor yet is still simple to eat. Carrot cake with pecan ice cream sounds awesome! Simple, but great. Are you kidding? Do you really have to ask? 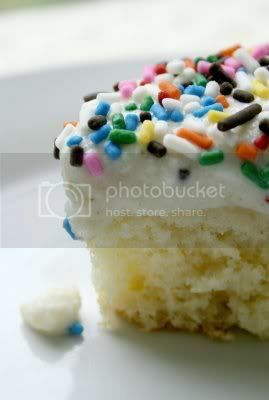 Just bite into a cake from Little Big Cakes! 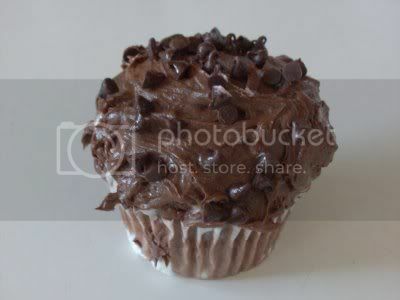 I can just look at the picture & smell it... makes my mouth water. Great flavor combo and the picture was really appealing. It's simple, and classic, but with a twist. I love that it's not over thought, and the finished product still looks clean and delicious! It is the one I would most like to make, some others were so beyond my cooking abilities. 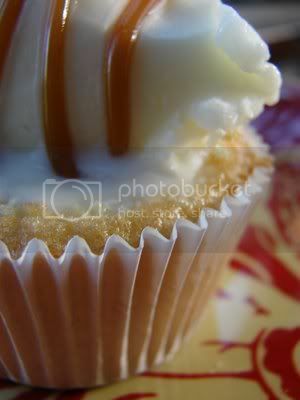 I love carrot cake and this cupcake has all the best elements of carrot cake in a neat little cupcake! Because the cake may be 'little' but the taste is 'big'! I loved how neat and perfect looking it looks (like a fancy Reese's) - plus Carrot Cake & Cream Cheese icing is one of my favorites. Can't go past carrot cake!! 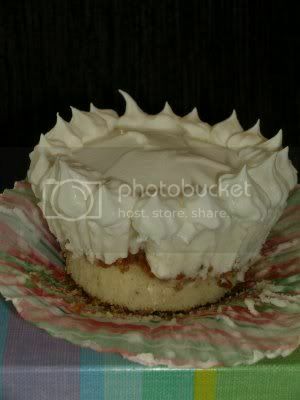 I am sitting here eating my low fat yogurt but dreaming it tastes like carrot cake ice cream cupcakes!!! It's a simple, traditional flavor. And not too flashy or over the top. Less is more! I would love to buy dozens of these!!! 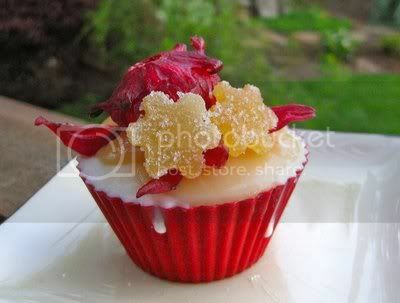 Prize: 12 pack of gourmet cupcake wrappers from Bella Cupcake Couture. Stef chose Fragola Tiramisu olio d'oliva Gelato Tortatina (Strawberry Tiramisu Olive Oil Gelato Cupcake) from Little Ivy Cakes as Cupcake Project's Editor's Choice. To find out why, head over to her blog! Prize: Cupcake tote bag from Avocado Creations. Selecting Editor's Choice was no easy feat. We wanted to choose them all. In fact, after seeing ALL the amazing entries, Stef, Tina and I even suggested getting rid of Editor's Choice and only having Reader's Choice. We knew we couldn't actually get rid of the Editor's Choice since it was part of the roundup, but we really all had a very hard time. 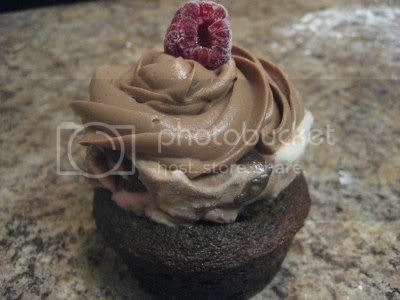 In the end we selected Chocolate Raspberry Baby Cupcakes from Inspired Creations. 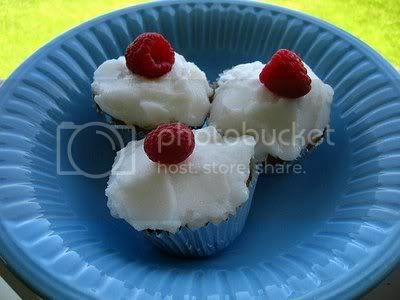 There was much to love about these cupcakes. 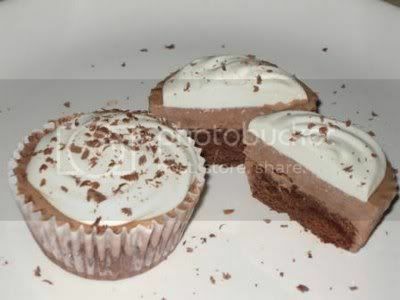 First of all, the size was unique...it seemed to me they would be neater to eat than your average ice cream cupcake. (Though in all honesty, isn't part of the fun of eating sweets is that it is ok to be messy?!) Also, the size allowed for one to eat more without feeling as guilty...I know, I know, it's all relative. Best of all, you get all flavors in one bite without fail. What's nice about this is that it is the perfect number of flavors combined, so the combo, while rich, is just right. 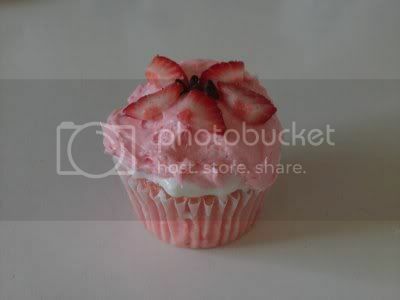 I also imagine that the mini-ness of the cupcakes allows for the fresh berry not to get lost among the richness, creating a nice balance of flavor. The flavor combo itself was just wonderful. 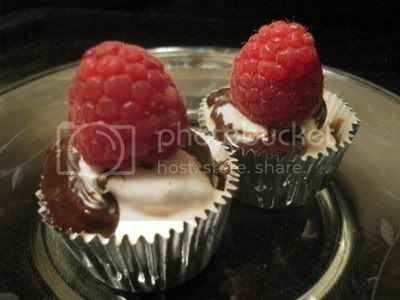 Chocolate and raspberry is a match made in heaven. 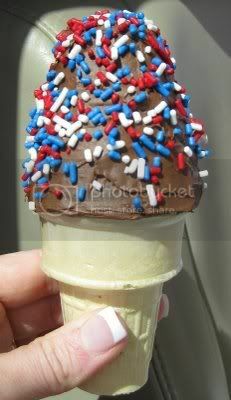 The combo is also reminiscent of a childhood favorite of both of us: black raspberry ice cream with chocolate sprinkles. This is kind of the "grown up" version. 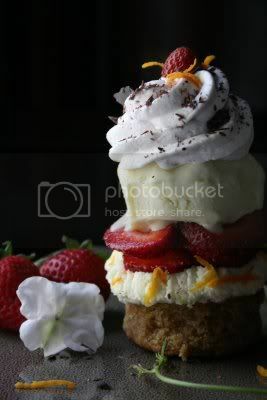 Though the ice cream was not homemade, I didn't have a problem with this, especially since it was local and looked wonderful piled high in those containers.I like the fairly simpleness of this recipe, so that we can make it at home. 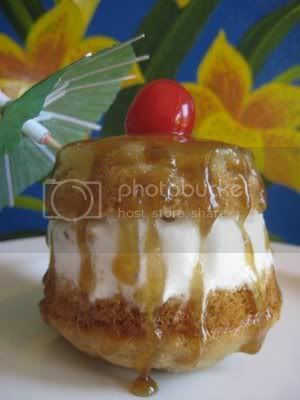 I also think the recipe would allow for nice variations...as I sit here getting sick by overdosing on fresh cherries, I picture a cherry-vary...On that note, the presentation was good, and I loved the step-by-step writing so we can all make them at home. A recipe is not as fun or enticing without pictures (even though I am horrible at remembering to take pictures along the way) so that was an added bonus, and to me especially, quite impressive! I could go on and on, but honestly, I am pratically jumping off my chair to go make them as I write this. All of the remaining prizes were chosen using a random number generator (Random.org). We tried whenever possible to give out one of the top three choices selected by the participants. However, in the cases where those prizes were already assigned, participants were given whatever prizes remained. Several lucky participants were randomly selected more than once (you'll see who you are)! Prize: Bag of cacao nibs from Patric Chocolate. Prize:Prize pack from Just Jenn Designs and pack of eight cupcake birthday cards by Bethany of Scoopalicious. Prize: 4x5 illustration from Cakespy and cupcake pendant from Krissi's Mixed Media Arts. Prize: Bread mix from JB Dough. This winner was randomly selected from those of you who voted in the roundup. The winner was Tiffany Kanis. 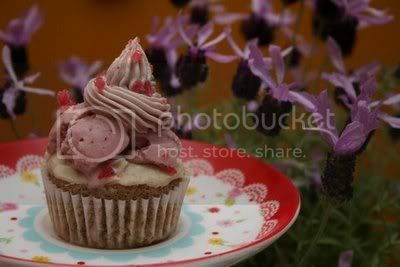 Prize: Pack of eight cupcake birthday cards by Bethany of Scoopalicious. Congrats to all the winners! Keep on bakin'! Scoopalicious wants to give Cupcake Project a big thank you for all her hard work. She did most of the writing (such as this post) and the prize procuring. She's full of enthusiasm and creativity, even well into her pregnancy. Thanks much, Stef! Today is the last day of the Scooper Bowl for the year. It seems like it was only yesterday we were anticipating the month of June in excitement for one of our favorite events of the year, and now, like another birthday, it has quickly come and gone. Scoopalicious made it over to the event yesterday. Though the weather was downcast (but not raining) the crowds were unbelievable. 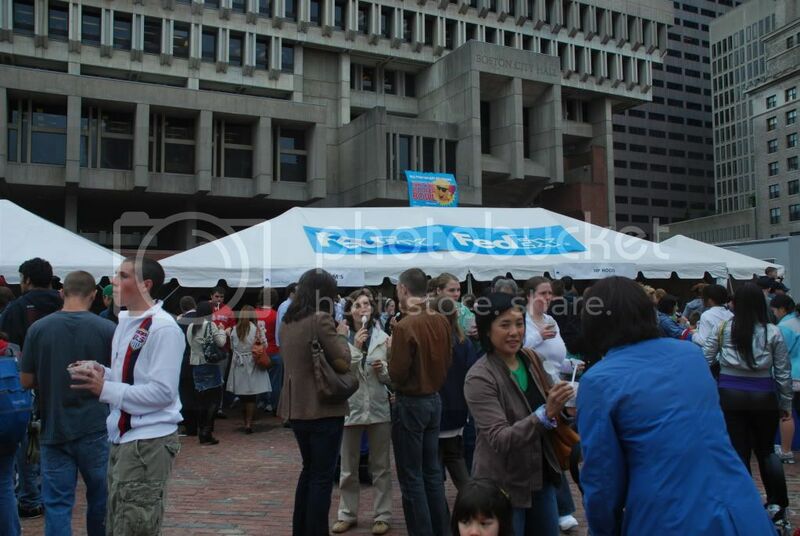 I thought that the impending weather might keep people away and make it a more accessible day for us to "report" back, but Tina thought maybe because the weather in Beantown was downright awful, that yesterday's crowd came today. Either way, we had a good time, and enjoyed the company of each other as well as our friends Alouette and Steve (a.k.a. Spaghetti) and ate ice cream until we were sick! Cotton Candy. Yum, Tina and I both liked this one. What are we? Thirteen? Rock 'n Pop Swirl. Pop Rocks in ice cream, I guess. I thought they were Nerds because they didn't pop, and the ice cream tasted grape. First grape ice cream I ever had. Not a huge fan. 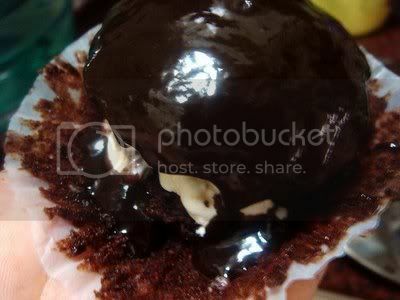 York® Peppermint Pattie. Tina and Alouette loved this one. Me? Too minty. I am not a fan of anything too minty. 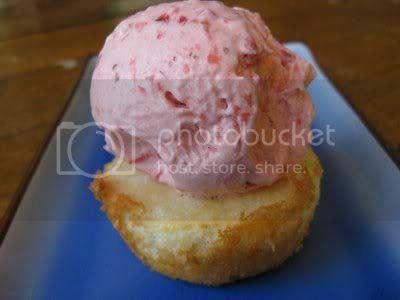 Premium Churned Light Raspberry Chip. Very good. 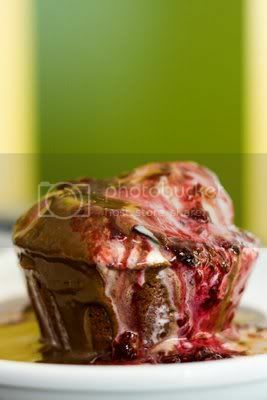 Love the chocolate and raspbetty combo, but particularly liked the swirls of raspberry sauce throughout. Orange & Cream. I don't remember this being an option. Oatmeal Cookie Chunk. Yum. Tina, Alouette and I were all big fans. Tina liked the fact that the chunks were chocolate, not raisins. 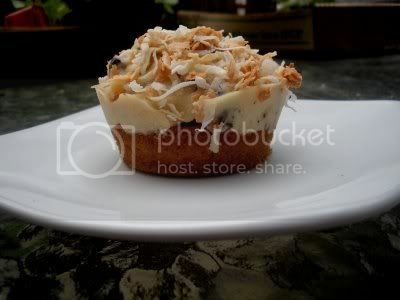 Chocolate Macadamia. Did not try. Goodbye Yellow Brickle Road. I really liked this. Tina wasn't as impressed. Our big question of the day? What is brickle? Answer: Practicallyedible.com describes butter brickle as: "It's small, shattered, crunchy pieces of golden-brown coloured, buttery-tasting hard toffee, which are also sometimes sold as "toffee bits." Ben & Jerry's site says Goodbye Yellow Brickle Road is "Chocolate Ice Cream, Peanut Butter Cookie Dough, Brickle Candy Pieces, & White Chocolatey Chunks." I tasted the chocolate and what I thought was brickle, but did not taste the white chocolate or peanut butter chunks. 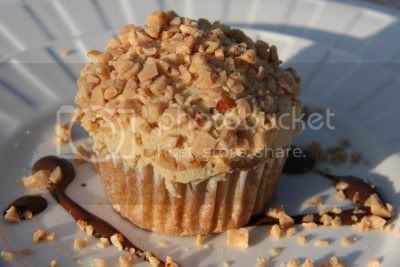 Tina tasted the peanut butter cookie chunks, but took them to be peanut butter cups. Confetti & Cream. Brigham's Cake Batter. Very good. 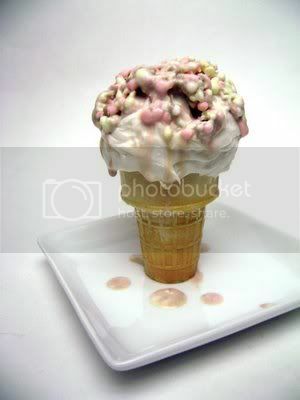 Why do so many cake batter ice creams have blue icing swirled in? Tina says it is to appeal to the kids. She's probably right. Take the Cake. I love all cake batter ice cream. This one fit the bill! Maine Lobster Tracks. I wasn't thrilled with this, but Steve loved it. Bailey's® Irish Cream. I don't like liquor flavored anything. This, however, was amazing. Wow. Vanilla Honey Bee. We had vanilla. Was it Vanilla Honey Bee? Either way, it was wonderful. Man, Haagen Dazs is the creamiest ice cream there is. Hands down. Um, could Haagen Dazs be any more of a pain to spell correctly though?! Cookie Dough Delight. I did not try this one. Tina did. She thought it was good, but again, there were so many and it wasn't among her favorites. Fenway Fudge. Another one of our favorites of the day! Maine Blueberry & Sweet Cream Frozen Yogurt. I love blueberry ice cream. I don't know how I missed it. 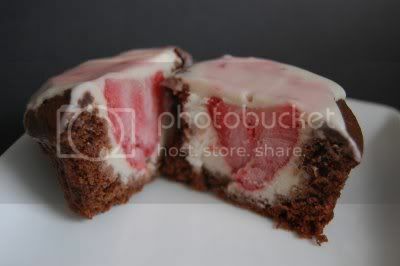 But I think I may have had this before and it was yummy when I did! Mango gelato. Alouette said this tasted "flowery." I had a taste and could see why she would say that. Raspberry gelato. This was good, but not particularly anything I would write home about. Ok, really, I don't actually write home much about ice cream -- if they want to know, they read my blog -- ok, I guess I wouldn't blog home about it either. I hope I didn't miss anything, but between the sugar high and all...I can't say that I remembered everything. 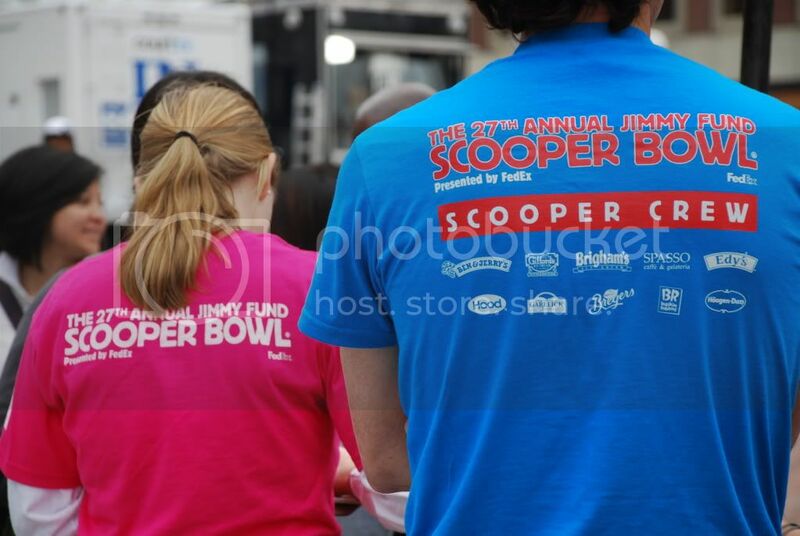 I think of the Scooper Bowl as kind of the pub crawl of ice cream -- you know you enjoyed it, but can't exactly remember why. One thing I just wanted to mention, just in case you forgot, was that the Scooper Bowl is $8 for all you can eat. It's a pretty good deal. But if you need more convincing, consider it your good deed for the day. All proceeds go to the Jimmy Fund. 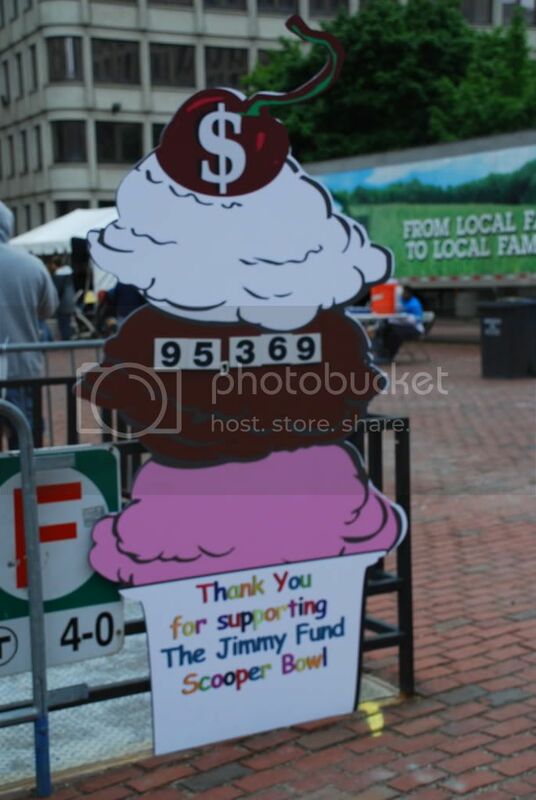 Want to learn more about the Jimmy Fund and it's history? Mass Moments by Massachusetts Council for Humanities has a nice summary here. And for all of you Massachussettsians, Mass Moments is a great daily email that sends some little known facts about, um, Massachusetts. Kind of fun! But hey, stop reading and looking at our pictures and get to the Scooper Bowl -- last day is today, Thursday, June 11, from 12-8pm. An overview of the fun. 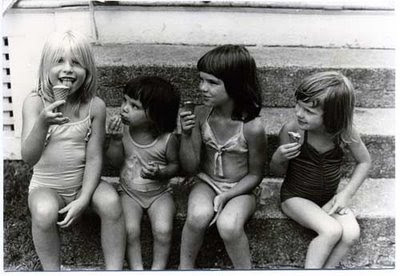 Funny, aside from the little girl in the bottom of the frame, it looks like all adults. This is not the case. 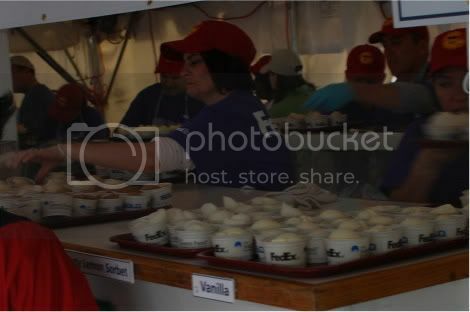 In fact, schools take field trips to the Scooper Bowl. As much as I like ice cream, I can't quite find the educational value in that. Volunteers. Next year, we want to! Haagen Dazs was on top of things. At some counters you had to wait while they put out the popular ones, and the lines were out of control and there was a lot of grabbing. You had to be fast. Not HD (I am just going to abbreviate, I have decided...). They were there. They were ready. They were prepped. And no lines. Ciao Bella's Key Lime & Graham Cracker Gelato. worth it for the tart and cool flavor you'll get! Whisk together egg yolks, 1/4 cup sugar, and salt in a medium bowl and set aside. Combine cream, milk, lime zest, and 1/2 cup sugar and cook over medium heat until just at boiling point. Remove from heat and slowly whisk into egg/sugar mixture. Return this egg/cream mixture to the pan and cook over low/med heat stirring constantly with a rubber spatula. Heat until it reaches 175 degrees or the custard lightly coats the spatula. Strain the custard into a clean bowl to remove lime zest (I kept a little for looks! ), add lime juice, and cool over an ice bath. 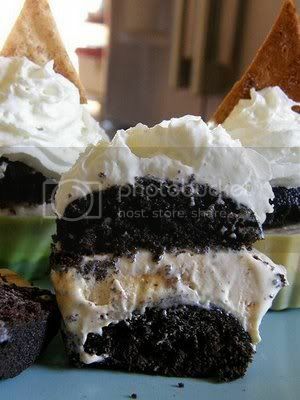 Refrigerate for at least 4 hours to enhance flavor then churn in your ice cream maker. When custard is almost finished mix in your graham cracker pieces and freeze in freezer for at least 8 hours. Voila...tart and refershing Key Lime and Graham Cracker ice cream that is perfect for summer! 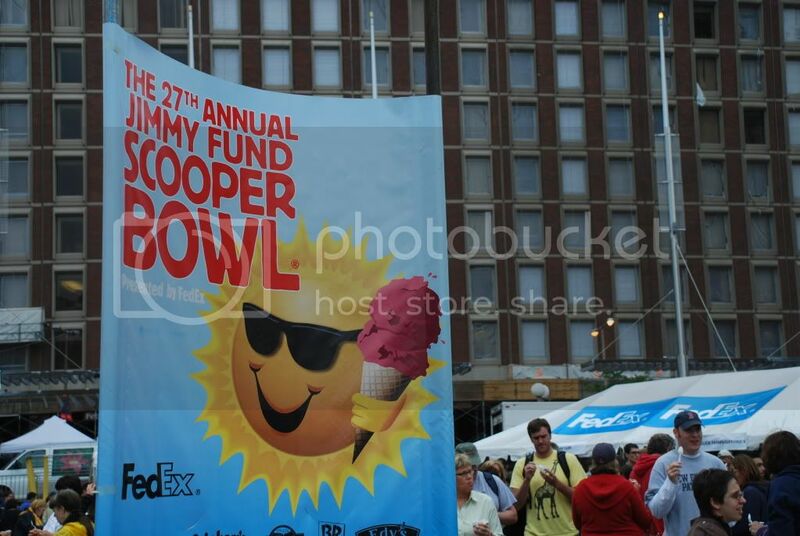 Seriously, if you work (or live) anywhere near City Hall Plaza in Boston than this weeks water cooler chatter is not about the weather, its about whether or not you are heading over to The 27th Annual Jimmy Fund Scooper Bowl for an ice cream lunch or not. Me..I'll most likely be there more than one day and since I am feeding for two these days there is absolutely no guilt! 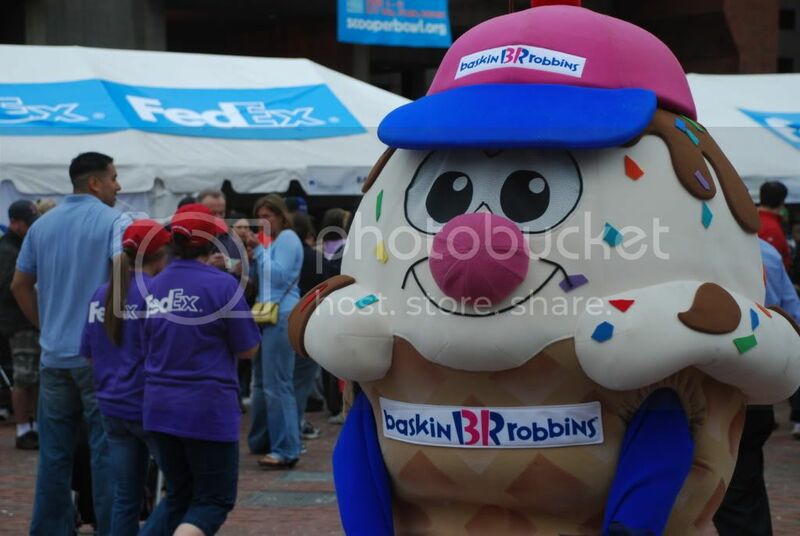 The nation's largest all-you-can-eat ice cream festival starts tomorrow and ends Thursday. It goes from noon-8pm daily and will offer a few flavors from each of nine different premium brands. So that is about 9 brands times three flavors(some actualy offer more) equalling approx. 27 scoops...and there is always seconds. Thank god for maternity pants that give! Truly this is a fun event and one of the most anticipated in the summer here in Boston. 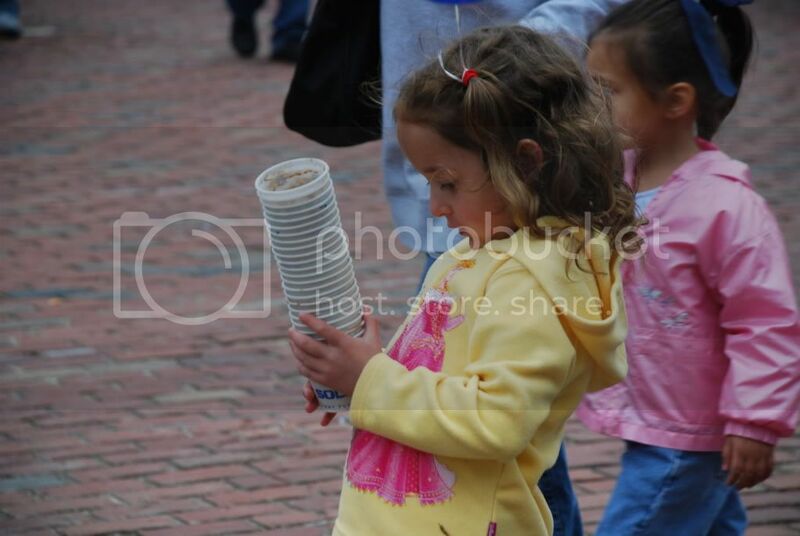 Its all about how many cups you can proudly stack, little ones covered in creamy sweetness, and just pure ice cream madness all for a good cause, The Jimmy Fund. 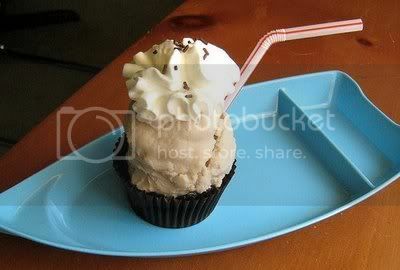 Tomorrow is your last chance to vote for your favorite ice cream cupcake in this year's ice cream cupcake roundup. Voting for your favorite ice cream cupcake doesn't have to be all about the other person, either. Vote and you are entered to win an eight pack of "Happy Birthday" cupcake cards (yeah, you can't see it but there is some ice cream in the cupcake, too!) made by me! Remember to vote by 11:59 PM PST on Sunday, June 7th! 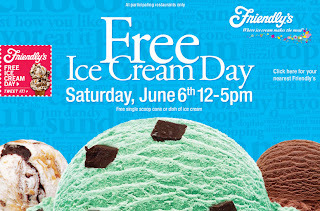 Get a good start to summer with a FREE single scoop of ice cream in a cone or dish at your local Friendly's this Saturday. Stop in from 12-5pm this Saturday, June 6th and take advantage of this cool offer! Here we are (click on it for a bigger view)...halfway down the page (smack dab in the middle), page 35, Women's World, June 8, 2009 issue! 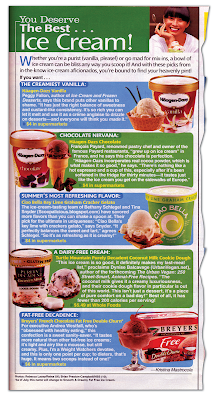 Check out our unique ice cream recommendation in this week's Woman's World magazine...so fun! Woohoo for Woman's World! As we head into summer, all the food pubs are chock full of summer desserts to bring to that next picnic and in Woman's World this week they highlight our own favorite summer treat (well for us, year round!) ice cream in a great article, "You deserve the best...Ice Cream." And excitingly they rang us up at Scoopalicious for our own recommendation of a unique summer flavor and we had lots to say. As you'll read (run to the newstand now and get your copy, page 35), its a short but sweet and tart write up on one yummy, unique, and refreshing summer flavor we love. 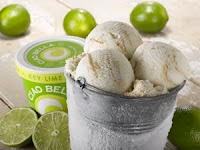 It's comes from one of our favorite ultra-premium brands, Ciao Bella, and its one of their unique and intensely refreshing flavors, Key Lime and Graham Cracker Gelato. A must try this summer if you can find it at a local market or if you are lucky enough to have a Ciao Bella shop nearby. Their gelato and sorbets are amazing but not always easy to find as they are a smaller boutique brand but so worth the hunt. I was lucky enough to try it in NYC where you can find a few shops. As I said we had lots to say and also had many other unique flavors to rant about so we'll be sure to fill you in on them all this summer. Check back next week for my own Key Lime and Graham Cracker Ice Cream recipe that you can make yourself at home. Just churned it tonight and I am dying waiting for it to freeze. You'll love this one as we head into summer. If you actually ended up here from the write up WELCOME and come back often for lots of interesting ice cream news, recipes, highlights, contests, and pure ice cream fun! 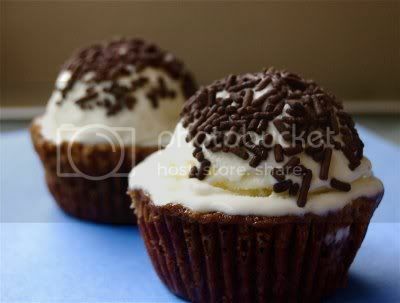 If this post doesn't make you crave an ice cream cupcake, I don't know what will. 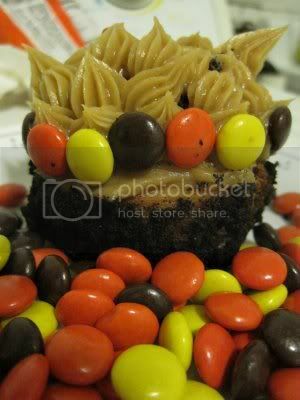 We, at Scoopalicious, and Stef of Cupcake Project (who assembled this awesome post -- thank you!!!) 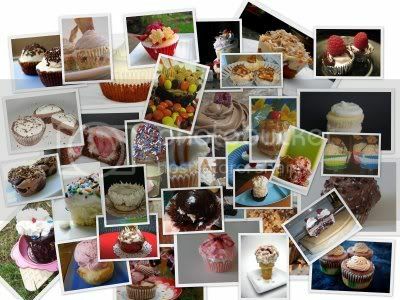 are so excited about all the amazing entries we've received for this year's ice cream cupcake roundup! Remember that each person who entered is eligible to win a prize, and you get to vote for a winner! In case you need an incentive to vote - Each person who votes will be entered into a raffle to win an 8-pack of homemade cupcake birthday cards directly from Bethany of Scoopalicious! Pick a time this week when you have a few minutes - this is going to take a while. Read through the summary of each cupcake below. Visit the blogs of the ones you like (I expect that will be all of them). Somehow, pick your favorite cupcake (I have no idea how you will be able to choose). Fill out the form at the very bottom of this post to vote. Thanks again to all of our fabulous prize sponsors: Bella Cupcake Couture, Just Jenn Designs, Avocado Creations, JB Dough, Patric Chocolate, Buzz Buzz Bee's, Cakespy, and Krissi's Mixed Media Arts. The prize details can be found along with the contest details. 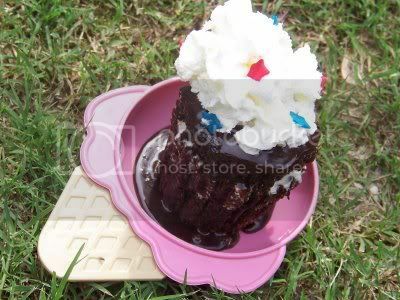 Chipster Topped Brownie Ice Cream Cupcake from Spork or Foon? 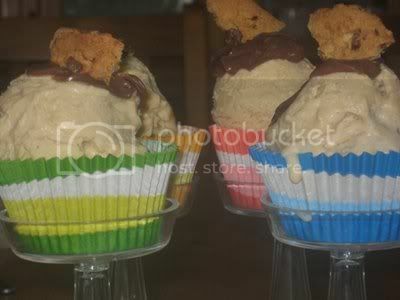 Cupcake: Vanilla regular-sized and chocolate minis, plus hidden M&Ms at the bottom of the cone. As if these weren't enough... One of our awesome prize sponsors who is ineligible for a prize decided to make an ice cream cupcake just for fun! While you can't vote for it, you should check it out anyway! Voting has closed. Thank you for your interest! Please enter and/or vote again next year!